Thinking about upgrading to a new smartphone? Well, you’ve picked a great time as there are loads of great new handsets coming out over the next 6 months. Here’s our pick of the bunch. We don’t need to tell you why you should be excited about this, do we? Apple has kept details on the latest iPhone under wraps, but there has been a lot of speculation on its design and potential features. You can read the best of it in our surprisingly easy guide to the iPhone 6. 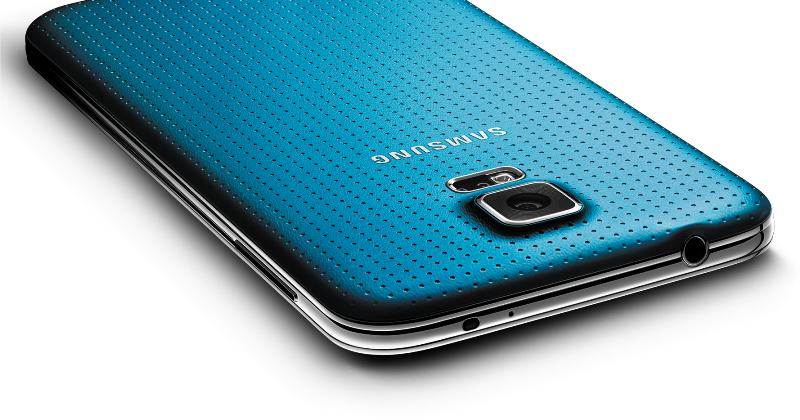 The follow-up to the Galaxy S5 is more than just a minor upgrade. It’s the most powerful phone in the world, ever. According to various sources, the S5 Prime (or Galaxy F – it has 2 names at the moment for some reason) will have a Snapdragon 805 processor. We have no idea what that is either, but it’s very powerful apparently. There are some nice little cosmetic upgrades too, including a partial metal build, 5 colours (black, white, gold, blue, and sweet pink) and a super high quality 2560 x 1440 QHD display. The S5 Prime should hit shelves around the same time at the iPhone 6. What a coincidence! Motorola surprised everyone with the brilliant Moto X, causing some of the smartphone big boys to look over their shoulder. The subtly-titled Moto X+1 is an upgrade on the X, with a 5.2” screen and a powerful new processor among the new features. Like the Galaxy S5 Prime, the Moto X+1 isn’t official yet but is definitely going to be released. @evleaks, a Twitter account renowned for leaking accurate information on tech, have released lots of info on the device, including the image above. But the main appeal of the X lies in its customisation options. You can change the look quite significantly to suit your tastes, while the stock Android OS means you can customise the actual experience of the phone too. At less than £300, this will be one of the cheapest top-end phones available. Who’d have thought Tesco would become of the biggest names in tech? Following on from the success of the surprisingly popular (and good) Hudl tablet, the Hudl phone is Tesco’s attempt to muscle in on the smartphone market. Precious little is known about the Hudl phone at the moment, although a BBC report suggests it will have similar specs to the Samsung Galaxy S5. You can probably expect it to have a ‘Tesco’ price tag though, meaning you’ll get great performance for a wallet-pleasing price. Unlike the other phones in this post, you can buy the LG G3 right now (although the image above is another pre-release shot from evleaks). But should you? The G3 has been causing major waves with its QHD display, which is currently the best screen available on any phone. That might sound great, but some are claiming that the screen is so high quality that human eye can’t actually comprehend how quality it is. Which makes it kind of pointless, really. There are lots of little improvements too, including microSD support, a better camera and a cleaner interface. At £470, the G3 costs less than the Galaxy S5 and the upcoming iPhone too. Windows Phone fans, rejoice! The Nokia Lumia 930 is the first ‘top-end’ windows phone, matching the performance and appearance of the best Android phones. It’s a bit of a bargain too, costing a relatively cheap £360. What smartphone are you planning to upgrade to next? Let us know on Facebook and Twitter. And don’t forget, you can sell your current smartphone and make some cash for your new one with musicMagpie! ← The Surprisingly Easy App of the Week: Zombies, Run!